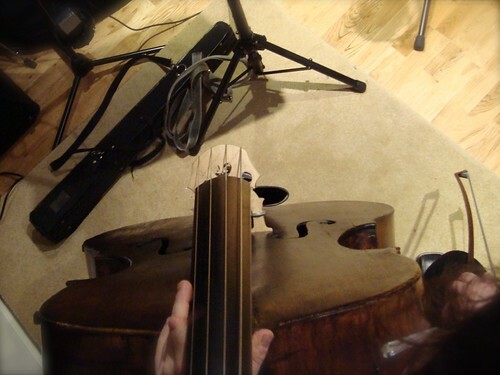 Sessions for Richard Jay’s project required double bass and what a beautiful sound it makes! Here is (probably) the shortest mp3 you’ll find on this site – and only 2 notes, but what a tasteful pair of notes. Many of my colleagues have been kind enough to take part in my podcast series about working in music. The most recent was composer Ian Livingstone. Ian responded to some questions by email then I copied the Qs and As into Xtranormal for an animated video. The podcast series is at Digital Musician or subscribe in iTunes. Essays – do we have to do? I do love Web 2.0 tools and the freedom to self-publish they give us! In my experience of education, I’ve long wanted these tools to become accepted, yet education still seems to hold on to the concept of the essay as central to learning design. So here’s a conversation about it! Created with a new service called Xtranormal. I’ve been asked to do a guest lecture about string arranging, so I’ve prepared a short introductory video, demonstrating one way of approaching some basics. 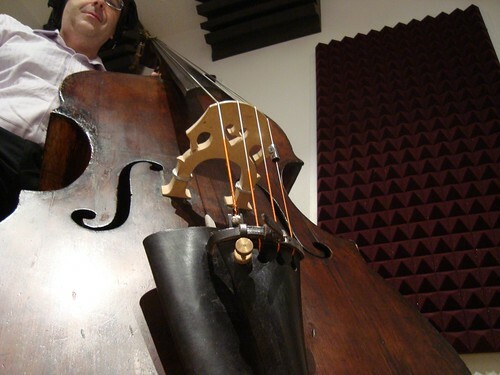 There are lots of things strings can do in an arrangement, but here I just focus on strings as a pad, with some extra features. A better resolution Quicktime version is here. String Arranging.